I hope that you're having a great week. It's been mostly sunny and pleasant here. We're just looking forward to our upcoming vacation. Summer is always a great time to go visit somewhere new, go swimming, and enjoy being with family. We're taking advantage of that. So have a great (rest of) Tuesday, and here's to a pleasant rest of the week! thanks so much for stopping by. I'm following back and entered your Brugo Giveaway. I look forward to check out more of your site soon. Hi, I'm following you back! Great blog, I love it! I am following you also! Thank you for stopping by! Did you add your giveaway to our giveaway linky? Hi. I am following you back. I saw the intelligender kit in the goody bag you got. I took that test with each of my daughters, and both times it said boy! Nice blog! Following you back! Thank you so much for following me. I look forward to your giveaways! Thanks for visiting! and im so happy you are my 100th follower! wow! Well i look forward to reading more from you too! Very nice giveaway! I just got done with mine from CSN too, they are awesome. I'll for sure enter your contest too! Thanks for stopping by...following you back too! 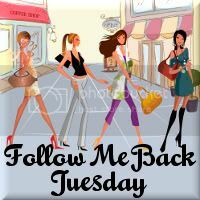 Following you back! Love your blog, going to enter your giveawy now. Thanks for the follow. I'm happily following you back. You have some great giveaways! I left you 2 a blog awards!